A few years ago biofuels were all the rage. Environmental advocates to national security hawks alike were extolling the virtues of ethanol and biodiesel as a carbon-neutral bridge to our energy future. But the bubble burst when it became apparent that there wasn’t enough agricultural land in the U.S. or elsewhere to grow sufficient amounts of corn, palm and other crops to feed both people and their engines. To boot, the process of extracting and distributing biofuels has proven anything but carbon neutral. And with ever cheaper natural gas widely available now, paying a premium for ethanol or biodiesel seemed frivolous. But a new generation of biofuels based on algae might just change all that. One of the major problems with biofuels that algae could solve is space, since algae can yield as much as 100 times more fuel per unit area than other so-called “second generation” biofuel crops (e.g. non-food crops or non-food waste parts of food crops). Federal researchers from the U.S. Department of Energy report that it would take only 15,000 square miles—less than 1/7 the area now used to harvest all the corn across the country—to produce enough algae fuel to replace all of our petroleum fuel. While burning algae-derived fuel in an engine or factory generates carbon dioxide (CO2) emissions just like fossil fuels do, the algae itself requires CO2 to photosynthesize—so overall no new CO2 is added to the atmosphere. Furthermore, any CO2 created through processing or refinement can be captured and re-directed to the growing algae beds. And unlike other biofuel feedstocks, algae production has minimal impact on freshwater supplies—especially when it can be undertaken in ocean waters or even wastewater. At least three well-funded ventures are poised to ramp up production of commercially viable quantities of algae-derived crude oil over the next couple of years. California’s Solazyme is building an algae fuel factory in Brazil in partnership with food processing giant Bunge and expects to manufacture 100,000 metric tons of fuel there each year. Solazyme is also retooling an Archer Daniels Midland factory in Clinton, Iowa to produce another 100,000 metric tons of algae fuel per year domestically. 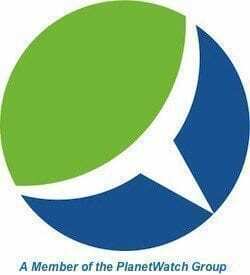 Another company ready to make the leap into commercial scale production of algae fuel is Sapphire Energy, which operates a 2,200 acre algae farm in New Mexico where oil is harvested across 70 open ponds and refined on site. Sapphire—Bill Gates is a big investor—expects the facility, which goes online next year, to generate some 10,000 barrels of crude oil a day by 2018. Yet a third player in the emerging algae fuel market is Synthetic Genomics, the brainchild of genomics guru Craig Venter, who beat the U.S. government in sequencing the human genome and at a fraction of the cost. 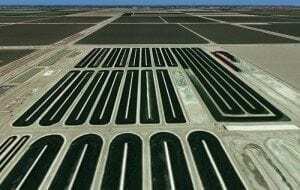 The company, which last year purchased an 81-acre site in California’s Imperial Valley to scale up and test its synthetic algae strains across 42 open ponds, plans to genetically modify algae to optimize its oil output. ExxonMobil signed a $600 million development deal with the company to further the cutting edge research.